Procuring the right IT hardware to enable thriving students can be costly for any school. Ensuring that IT investment is up to date with new PCs / Laptops and Tablets can be a huge cost to the school. With greatly reduced school budgets, refurbished IT for schools can make budgets go a lot further and save thousands. 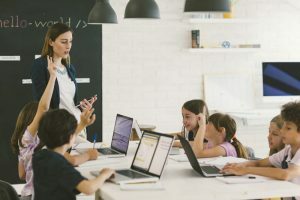 SchoolCare have provided refurbished PCs and Laptops to many of schools and have seen an increase in the 18 months with more refurbished kit to be quoted to customers. SchoolCare’s focus has always been on best value and as such work with customers to develop solutions to meet both their needs and budgets. Refurbished IT for schools is also graded so you know the condition of the unit before you purchase anything. The hardware is always clean but they do come with varying cosmetic marks depending on the grade. The unit grade would also be noted clearly on our quotations. Grade C – This grade is differentiated by the level of damage to housing but does not affect the internal workings of the machines. Contact SchoolCare today to explore refurbished IT hardware as a new way to manage your IT investments.